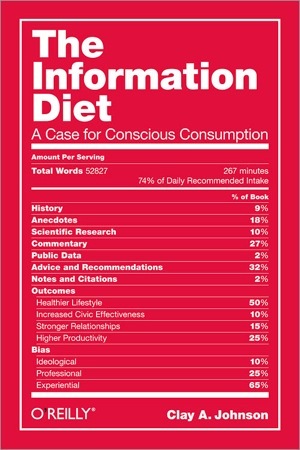 Confirmation bias is what happens when we seek out information which confirms our beliefs. Now, doing this isn’t always bad, and it doesn’t mean that what you believe is wrong, but if you only seek information that confirms what you already believe, or your biases, you risk having a very lopsided perspective on a number of issues. Worse, it becomes harder for you to think critically about these issues and to change your mind when it would be right or intellectually honest for you to do so. Exposing yourself to a variety of sources not only gives you a more balanced and complete view of something, but it will also help you better understand your beliefs and defend them more ably. I first learned this in college from Father Schall, who in our political philosophy course would quote Thomas Aquinas (1225-1274): “You don’t really know something until you know the reasons against it.” I’m impressed by that quote. “We all live in our own social bubbles, which we create and empower through our social relationships – and interestingly, new research says that these relationships have profound impacts on us. The friends we select, the communities in which we work, play, and love serve as filters for us. It’s too high of a cognitive and ego burden to surround ourselves with people that we disagree with. “Knowledge is pleasant and delightful to intelligent creatures, and above all the knowledge of divine things; for in them are the most excellent truths, and the most beautiful and amiable objects held forth to view. However tedious the labor necessarily attending this business may be, yet the knowledge once obtained will richly requite the pains taken to obtain it” (45). 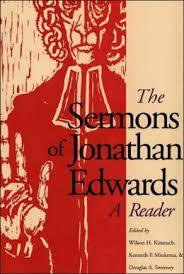 * Jonathan Edwards (1703-1758) is widely considered America’s most important and original theologian. Though best known for his fire-and-brimstone sermon “Sinners in the Hands of an Angry God” used in many public schools as a caricature of 18th-century American Puritanism, Edwards was a brilliant philosopher, pastor, and theologian who deeply influenced American Protestantism. He was also President of the College of New Jersey, which today is Princeton University, and later in life became a passionate missionary to Native Americans.